Honda Racing has an update regarding John McGuinness, following his incident at the North West 200 Superbike qualifying on Thursday, May 11. John has been diagnosed with a compound fracture to his right lower leg, while in theatre on Thursday night it was not possible to plate the leg as initially thought due to the extent of the injury, and tomorrow an external fixator will be fitted. In addition, John has also suffered four broken vertebrae and has three broken back ribs, John will wear a cast for up to six weeks in treatment for the vertebrae. John will remain at Royal Victoria Hospital for around one week as part of the recuperation process. Honda Racing has received John’s bike from the race organisers and will perform a detailed analysis of the bike and ECU data at its headquarters in Louth. 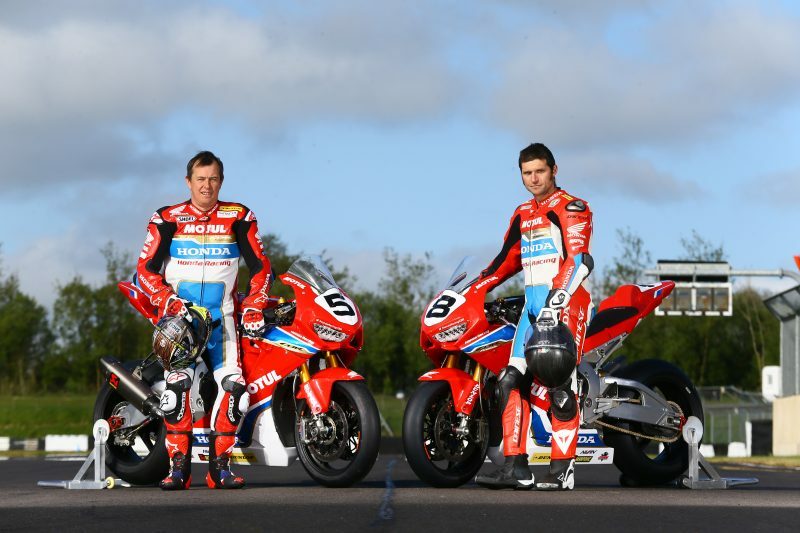 As a result, the team has withdrawn from the Superstock and Superbike races at the North West 200. The team will next be on track at Castle Combe in a couple of weeks’ time as part of its preparation for the Isle of Man TT.